Spiders are a pest that no one likes to have around the home. There are a lot of common household spiders that are harmless, but there are two spiders in Oklahoma that can be Dangerous to you and your home. 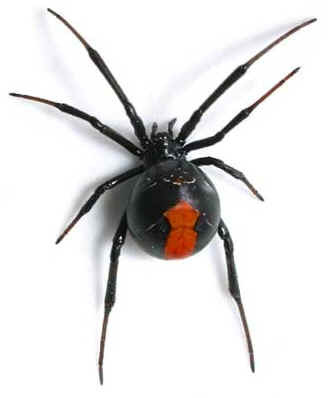 In Oklahoma, the two most dangerous spiders are the Brown Recluse and the Black Widow. Both are venomous and if bitten, you should seek medical attention immediately. 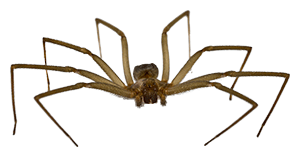 The Brown Recluse is also called the Fiddleback spider because of the violin shaped marking behind the three pairs of eyes. It lives up to it’s name as being brown or tan in color and prefers to dwell in out of the way places. It has long, thin legs and an adult is only a half an inch in length. In the summer-time, eggs hatch in about a month’s time with more than 40 spiderlings. If the weather has been mild, there will be plenty of spiders that can reproduce as well as plenty of bugs for them to eat. They can go without food or water for long periods of time, and can live up to 5 years, reproducing every year. The Brown Recluse hunts at night and sleeps during the day. They can be found hiding in closets, shoes, under couches & chairs, bathrooms, old clothes, boxes, basements, garages, & attics. They are reluctant to bite, but when provoked – even unwittingly, like putting on an article of clothing that they are in – they will defend themselves. Depending on where and how the bite happened, some people may not even know they’re bitten until hours later. Most bites will cause intense pain and hours later a puss-filled blister usually emerges from the skin. The venom will kill the skin around the bite up to a half-dollar in size, and it will become red and swollen. Fever may occur and the infected skin may deteriorate exposing muscle. There is no specific anti-venom, but physicians can combat the venom with steroids. These spiders can be controlled by using a professional to treat your home on the inside and outside, by doing a thorough treatment. One very important thing to consider when choosing a company is: The job you are paying for is only as good as the person doing the work. When we come out to treat your home, the owner is there on every job, making sure you get a thorough treatment for the best you can have. Call us now at 405-923-0812, and we'll take care of all your pest problems!